It’s been long since the tablet PCs came out and everybody started competing for the first position which was entirely held by the Apple iPads. There came and went many tablets which tried but to compete but none stood strong enough to face the iPad and so Google, the tech Giant is now creating from its technology and efficiency the Google Nexus tab which it claims to beat the iPad soon after its launch. Ever since the iPad had been released, every other company has wanted to make a tablet which shall prove better than the iPad. Google, the tech giant has taken this into thought and will now be bringing about the ‘Google Nexus” which it hopes to bring a tough competition to the Mac makers. To deal with the Siri Voice recognition of Apple, Google has come out to say that it indeed has “the best translation software service” which complies with mobile search, voice recognition and the new voice organic search. So Google has plans to develop a Voice technology and integrate in the Nexus which will most possibly beat the Apple Siri. Google has indeed chosen its OS to be the most popular and highly demanded Android, which might be the latest ICS (Ice Cream Sandwich) 4.0 or a newer version which shall be released this year. On the other hand, the iPad will of course run on the latest Apple OS, the Apple iOS 5. The iPad runs a VGA-capable camera on the front and a High Definition with 1 Mega-pixel and 720pixel video in the rear area. The Nexus has been rumored to be carrying a 3 Mega-pixel and a 5 Mega-pixel respectively. 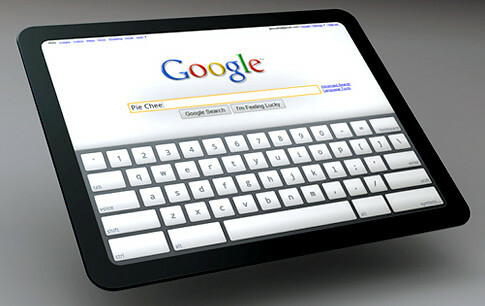 Google Nexus has also been equipped with a flash which is eventually being missing from the Apple tab. Unlike the iPad 2, the third iPad one will carry new parts arranged in totally different arrangements which result in a total major redesign. But as we all know Google is quite unpredictable and smart indeed, and has always been conscious about the design, so the designs of the Google Nexus will also be something to watch out for. The Google Nexus will be available for just $199 whilst the highly awaited Apple iPad 3 will be costing something around $500.